All information on these pages is based on our personal experiences while cycling Mpumalanga and Limpopo, South Africa in October ans November 2013. We flew into Johannesburg and arranged transport to Ermelo. From Ermelo we cycled to Amsterdam and into Swaziland. 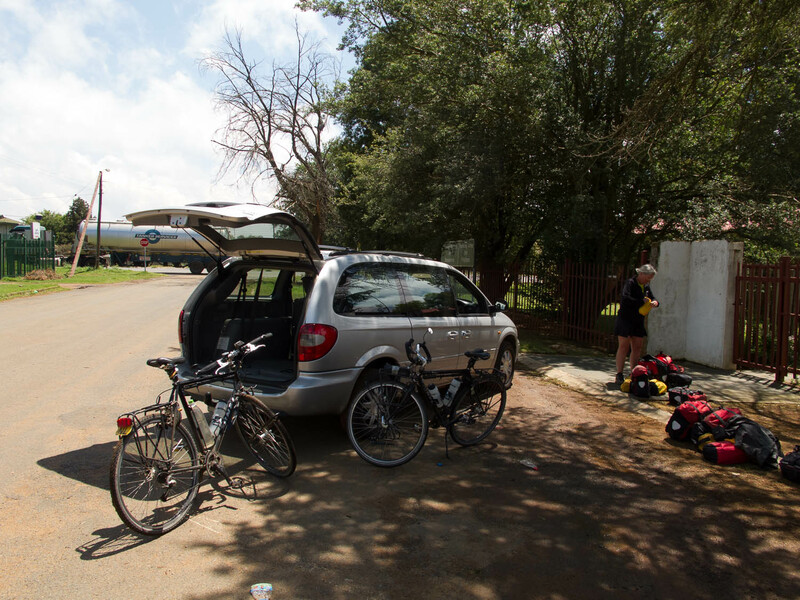 We left Swaziland at Bulembu and continued North to Nelspruit and towards the Blyde River Area. We cycled into the Lowveld and up the Abel Erasmus Pass. We ended at Belfast, from where we went by car back to Jo’burg. 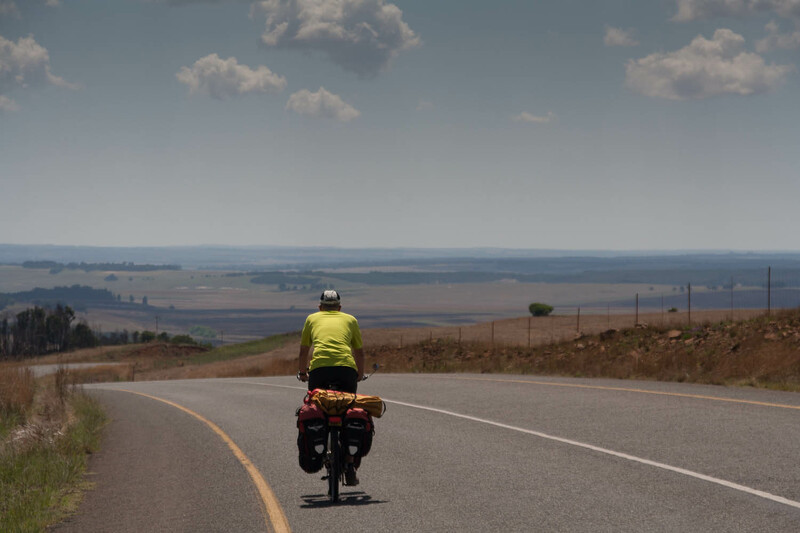 After our return many people were curious about cycling in South Africa. “What was the weather like? Did you have many punctures? The question asked most frequently: “Is it safe over there?”. Yes it is safe over there! Of course the normal precautions apply. Keep valuables out of sight etc. We wouldn’t want to bike through the centre of Johannesburg or cycle around at night, but outside the cities your security is no problem. People are friendly and helpful. We didn’t feel unsafe for one moment. Süd Afrika; scale 1 : 1.700.000 (Reise Know-How Verlag). We purchased this map in the Netherlands. It shows relief, road numbers and distances (not accurate). Useful for planning longer trips. The Rough Guide Map of South Africa with Lesotho and Swaziland (scale 1:1.700.000) is useful for an overview of the complete country. The free “Welcome to Kruger Lowveld”map covers the part of this trip after leaving Swaziland. We have published our entire route as a Google Map. See our Tour Report page. We used the well known Lonely Planet travel guide. As we needed only a small part of the South Africa guide, we bought the chapters we needed online as a Pdf File. We searched the web for useful bike sites and found these. All links open in a new browser window. Travel Guide To South Africa By Bike. Page by International Bicycle Fund. Practical information is limited to one page. All main roads were in a good condition and generally speaking traffic is light. Even better, many paved roads have a shoulder (small strip on both sides separated by a yellow line) that can be used as a bicycle lane. In the hills the steepest sections of main highways will have passing lanes. On the South African part of this trip we only used paved roads. Traffic is on the left hand side of the road. Mountain biking and road racing are very popular in South Africa but to get the essential part you may have to go a long way. Therefore it’s a good idea to carry essential spare parts. For the self catering every town has a small supermarket. It’s safe to drink water from the tap. At some places farm-stalls along main roads sell farm produce and cold-drinks. The advantage of this low season period (october and november) is that campgrounds and hotels are never very busy. 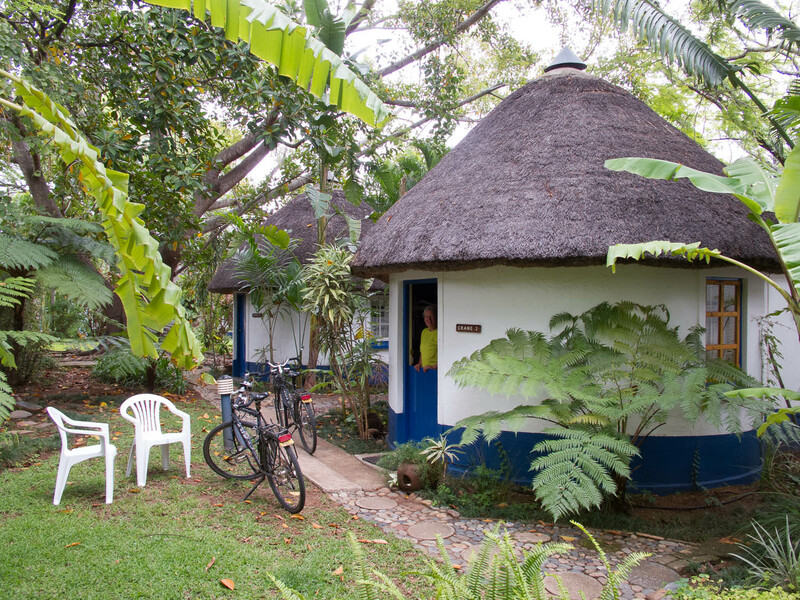 The exception was Hazyview, near the Kruger Park, where we had difficulties finding a room. Try to avoid December and January as it is the holiday season. We arrived in this part of the year (october/november) after a last minute change of travel plans. In this part of South Africa the rainy season is starting in this period . Therefore we had quite some cloudy days and drizzle. We changed our route because of predicted bad weather in the Blyde Area. Not much to see at the viuwpoints in the fog! Over all the cycling weather was not too bad. General forecasts by the South African Weather service. Yes, South Africa is famous for it’s wildlife. We visited the world famouw Kruger NP (on a day trip by car) for the real safari feeling. Outside parks and reserves you’ll see no game at all. Many towns and national parks have camping facilities. We only camped in Swaziland on this trip, because of the abundance of cheap accommodation on this route. Cycling along the road we were invited several times to stay with Sout Africans in their homes. A great way to get to know the locals. Many South Africans drive ‘bakkies’ (pick-up trucks) that are ideal for people with bikes. The usual precautions on hitchhiking apply. They seem to go everywhere but don’t always take bikes. These buses always seem to be very very full. The long distance buses sometimes are willing to take bikes (must be packed). We arranged private transport both at the beginning and at the end of our trip through the guesthouse we stayed at at Boxburg, Johannesburg. The owners, Clive and Christine, were very helpful.